For 2015, I have decided that my resolution is to do something to better myself each month. I usually pick something that is too easy and get bored, or I pick something to hard and give up. I have to admit, I am absolutely horrible about staying hydrated. With stress headaches and staring at a computer screen all day at work, I really don't need dehydration headaches adding to that throbbing. 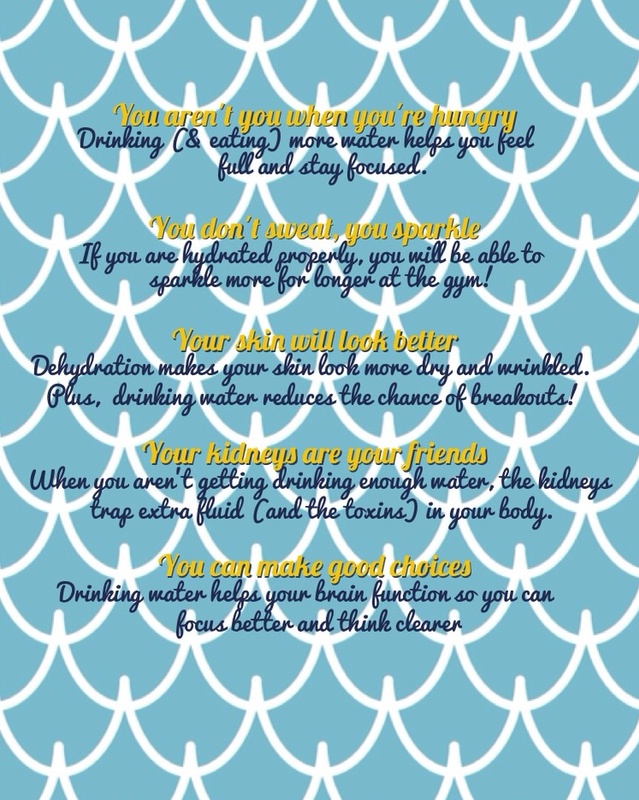 Besides this superficial reason, there are plenty of reasons to get into the habit of drinking more water. To make drinking more water a habit, I am going to make sure I always have a water bottle. Luckily, I already have a 25 oz. s'well bottle in Bikini Pink for when I can tote a big bottle around, and they have a GLITTER collection with smaller bottles. It's fate. The tiny bottles are perfect for when I decided to downsize purses. I'm also going to try to have other healthy, water-based drinks available, in case I just want something different. I love BluePrintJuice's cashew-vanilla-cinnamon-agave milk and lemon-cayenne-agave juice. Well, there's always next month!